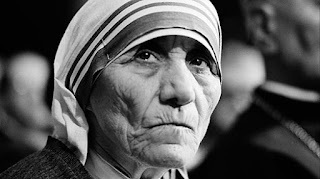 Neither a mother nor (by birth) named Teresa, I'm afraid Mother Teresa is, in fact, a terrible exemplar for motherhood. I don't want to attack someone who was (by all accounts) a pretty decent person, but I'm sorry, when your birth name is Anjezë and you take a vow never to have children, it just starts to feel like you're complicit in a lie when you go around letting people call you Mother Teresa. 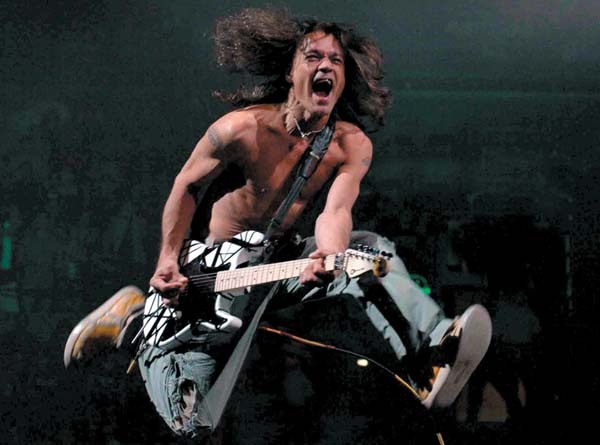 It's like if I got people to call me "President Van Halen" which...actually is kind of cool. Go ahead and call me President Van Halen from now on, please. 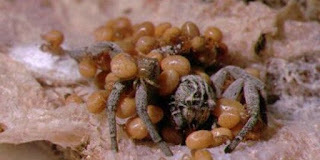 S. Lineatus females are the textbook examples of mothers who give too much of themselves to their own detriment, as their young literally eat them alive after birth. I'm sorry, Sister Lineatus, but you need to take some time for you and exercise some self care. Furthermore, where are the fathers? Let's not just criticize Lineatus females; we need to explore the structural factors compelling them to be devoured by their children. 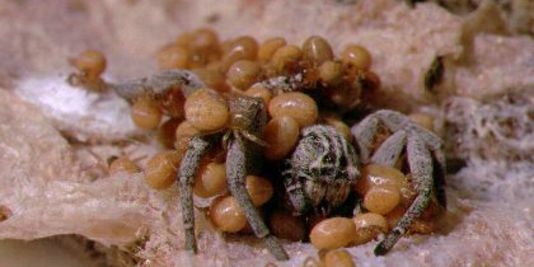 Clearly there are serious problems with arachnid culture beyond the scope of one blog post, but we need to be talking about maternity leave, equal pay, and, most importantly, proper childcare services if we're going to address the root issues. 3. The abstract concept of motherhood: Sound and fury, signifying ????? As a practicing Mormon, I can tell you that we revere motherhood. Motherhood is just the best. We're on Team Motherhood. What's tricky, however, is that "motherhood" is frequently defined in terms of "possessing a uterus" and "engaging in behavior traditionally prescribed for individuals possessing uteri." This includes, but it not limited to, having children, being nice, not working outside the home, projecting happiness, working hard, baking things, wanting to have children, nurturing, being nobly unappreciated, and much, much more. The trouble, you might have noticed, is that most of these qualities and actions are better described by other words that actually relate to those specific qualities and actions. The word "motherhood" has become a bit like "synergy," an empty piece jargon conveying something vaguely positive on the surface but nothing of substance underneath. Beautiful. Terrifying. Live-giving. Awe-inspiring. A Planet. These are all words that describe the Earth we live on. Unfortunately, it's hardly a compliment to say that Mother Earth is HOT. In spite of what the U.S. Senate and major cable news outlets tell you, anthropomorphic global warming is a real problem, which means Mother Earth's best days are probably behind her in terms of having living conditions amenable to human life, which is saying something considering we've lived through a couple of ice ages. Frankly, though, the earth's been around a lot longer than us, so until we invent a real life Death Star we should probably be more concerned about ourselves. 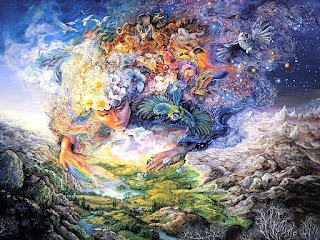 Mother Earth probably won't notice when we're gone. She's selfish like that. So...umm...to be honest, this post doesn't really have a central message or a "point," per se. Just...mother or not, have a nice day, is all? Sure, let's go with that.